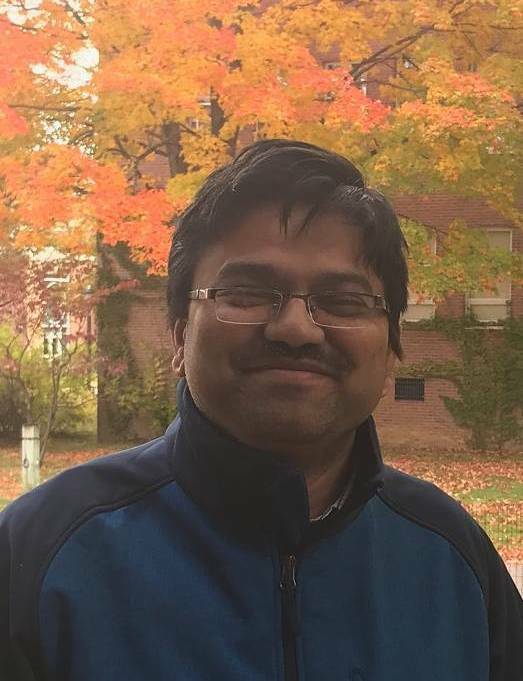 Stony Brook Mechanical Engineering About Us Researcher Spotlight Nilanjan Chakraborty, Ph.D. Faculty researcher, Professor Nilanjan Chakraborty, Ph.D., joined the Department of Mechanical Engineering at Stony Brook University in 2014. Prof. Chakraborty's research is focused on robotics and artificial intelligence. He is the academic advisor to the Stony Brook Chapter of the Robotics team and has been selected for the Researcher Spotlight of Fall 2018. My journey to a teaching and research career is somewhat serendipitous. During my undergraduate years, I did not see myself as having a career in teaching or research. After I started working as a design engineer, it slowly dawned upon me that I enjoyed learning more than anything else. A chance encounter with a friend who was pursuing research and wanted to be in academia made me realize that the best way to learn is to teach. So, I joined graduate school and from then on, I knew I wanted to be in academia. Stony Brook provided me with a wonderful opportunity work with students and start my own research program. SBU has a strong research group in Design that shared my research interests. The location of SBU also scored some brownie points with my wife. on their research projects, and learning with them is the thing that I like best about working at Stony Brook. The support of the entire faculty and staff makes the experience more enjoyable. I do research on robotics and artificial intelligence. My belief is that the two hallmarks of humans that separate us as an intelligent species from other living beings, is our ability to use our hands to manipulate objects in the world and our ability to interact socially and perform tasks cooperatively for the greater social good despite our own selfish interests. 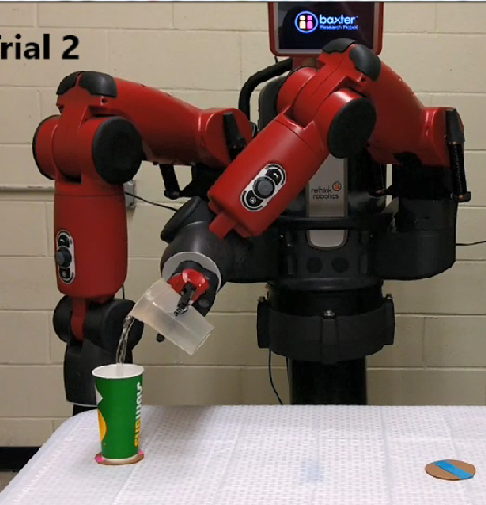 My research is about endowing robots with these two capabilities of manipulating objects in the world and cooperatively accomplishing a given task. What interested you in Robotics? My interest in Robotics came about after I entered graduate school. I was not sure about the research I wanted to do, and my adviser gave me a list of journals to read and see if anything interested me. I started reading a paper on grasping, did not understand anything, but still thought that it should be “easy” to develop a device that does grasping and manipulate objects. After all, humans do this all the time. Slowly, I realized, it is very hard to do basic things with a robot that seemed to be intuitively obvious to humans. This quest of building devices and their control algorithms that seems easy to do for humans drove my interest into robotics. Discuss your role with the Robotics team? Being an adviser to the Robotics student team is one of the things that I enjoy most. The Robotics student club is composed of students from multiple disciplines. They work together to build robots and participate in various competitions. My role is to provide technical guidance to focus the creativity of the students in building the different robots. My key advice to Mechanical Engineers is to develop an attitude of being a problem solver and acquire the necessary tools to be a good problem solver. The tools that you have at your disposal are your mechanical engineering knowledge, knowledge of mathematics, and programming skills. A mechanical engineer needs to be good at math and coding! So, make sure that you develop all these three tools as well as you can. For problem solving, you need to have the attitude to learn whatever it takes, even if it is knowledge of some other discipline. In the real world, a problem does not come with a label “Should be handled by Mechanical Engineers only”. I spend most of my free time reading. I like reading biographies and science fiction. I was an avid soccer and cricket player during my school years. Nowadays, I follow soccer and basketball.